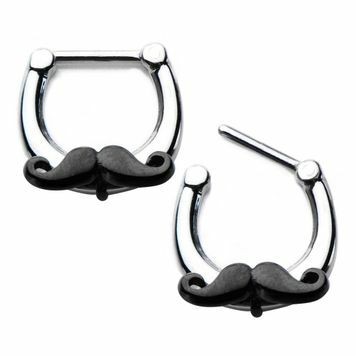 Surgical Steel Septum Clicker with Black Handlebar Mustache Charm. Charm is fixed and cannot be removed. Made from 316L Surgical Stainless.